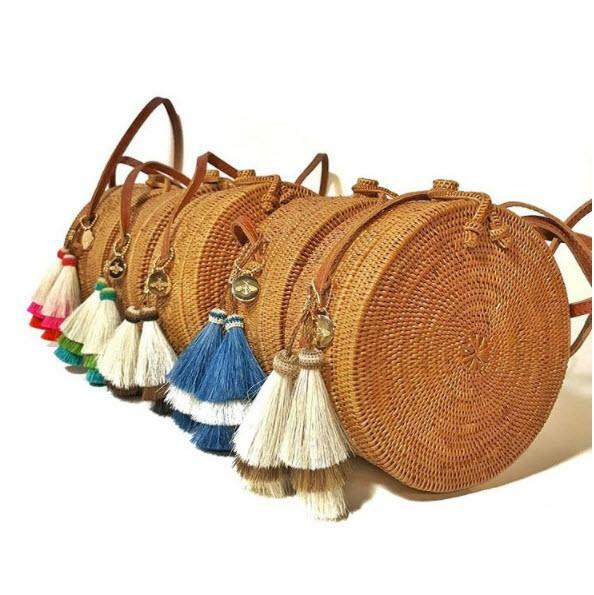 What a beautifully unique straw bag! 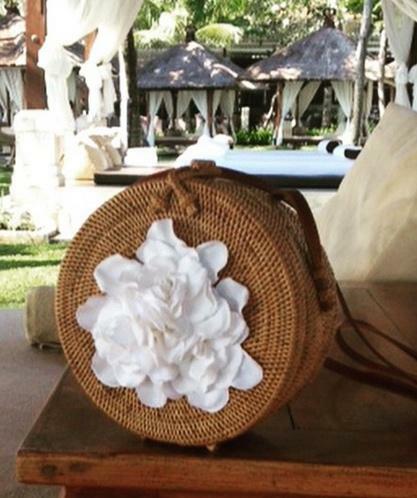 This Canteen Bali bag is the perfect summer accessory. Available in 9 different motifs. 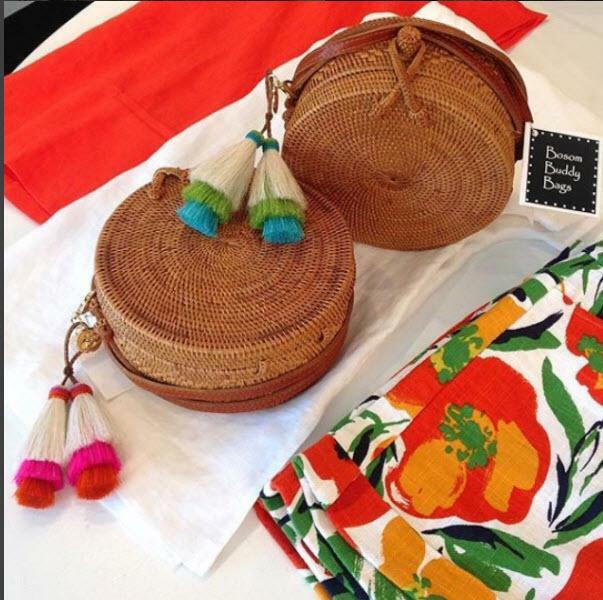 Add a tassel for a fun updated look. 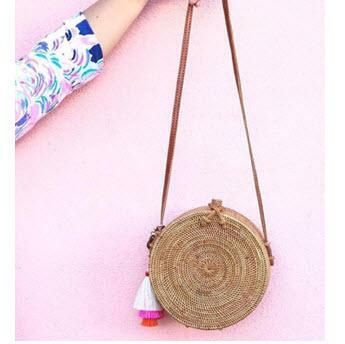 This is the perfect bag to take you from day shopping to an evening of fun. Price: $175.00 In stock! - Browse this brand: Bosom BuddyOur products are custom made to your specifications. This product ships up to 2 weeks after your order is placed. 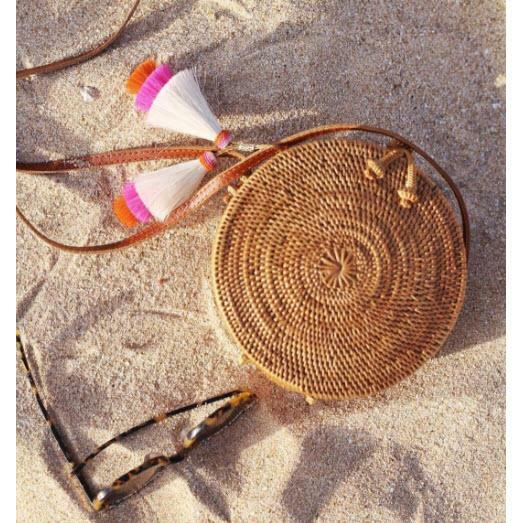 Add one of our new trendy tassels to your bag.